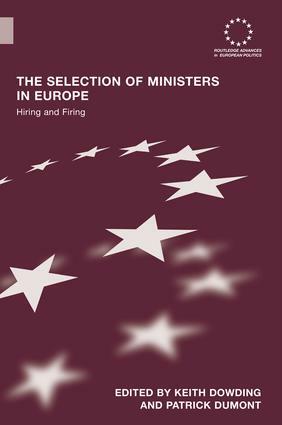 This volume discusses the formation of government cabinets within twenty European democracies, providing the institutional background to the selection and de-selection of ministers. The book is the first output of the Selection and De-selection of Political Elites international network of scholars (SEDEPE) and will provide a major source of information for all scholars interested in the formation, maintenance and termination of cabinets and the nature of ministerial government. The Selection of Ministers in Europe. Hiring and Firing will also be of broader interest to students of European Government and Political Institutions.